The ATD Fourth World team in Senegal is striving to meet new people living in poverty and win their trust. The team is particularly present in the shantytowns of Grand-Yoff, Sam sam and Pikine Guinaw rail. Together with the families of these districts, the team is working to open up opportunities and plans to give voice to those in these districts who are most vulnerable before the members of Parliament and the Ministers on the occasion of the 17th of October. Every week on Wednesday, the ATD Fourth World team in Dakar organizes events with the children and teens in the district of Grand-Yoff called “Knowledge in the Streets.” The children have made the name their own by translating it into Wolof “Xam xam ci Mbeed.” Grand-Yoff families and children see the organizers coming each week with bags full of books and markers and crayons for colouring. They pass from house to house to greet families personally and then the children join them in a street in the centre, often at CAIDAS (Committee of Assistance of the Spouses and Wives of Diplomats Accredited in Senegal). The children quickly arrive in large numbers and the organizers often begin with an icebreaker, a game that allows young people, who come from various places and do not know each other, to get more comfortable. For children between the ages of 4 and 11, activity is centred on books and colouring. There is every kind of book available, ranging from animals, children’s dictionaries, stories, board books and games. The smallest of the children beg for the books and are really eager to read stories with others. The events team also organizes regular activities with about forty teens between the ages of 12 and 18. Organizers offer them painting activities as well as discussions around the texts of Joseph Wresinski. 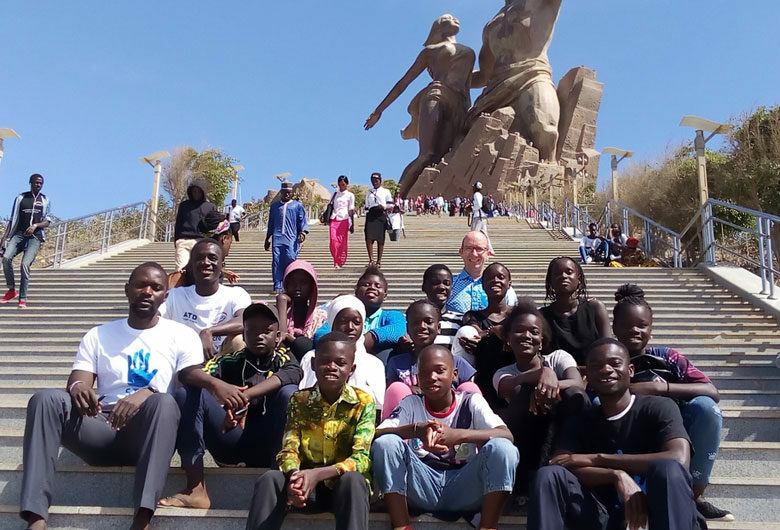 In May the group of young people and organizers had the honour of being invited to the African revival monument on the occasion of the “Children’s International Biennial Event” with as theme “Childhood, Art and Education.” This event seeks to create a space for exchange between children and older generations to acquire and promote values related to civics, the environment and peace. 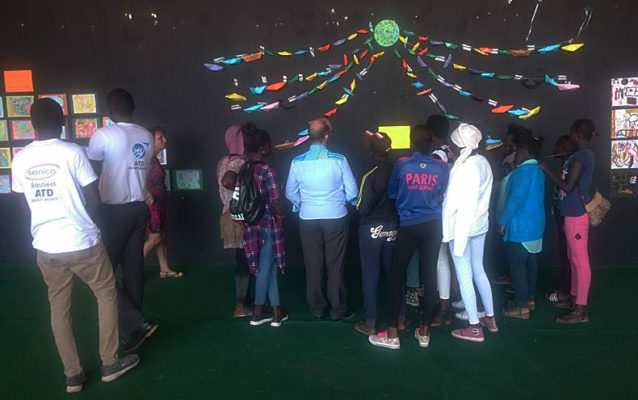 It also provided the teens and children with the opportunity to present the artistic achievements they had specially prepared. The African revival monument is a symbolic place for the group from the Grand-Yoff district because of its historic value, representing the African people’s self-determination after the era of colonisation.